When Andrea Bates first set up her own shop, she wasn’t expecting it to become a destination store. And neither was she expecting to become a furniture dealer stocking several exclusive pieces from Scandinavian designers, nor to be launching her own ranges. But the gradual transformation from Future and Found to insidestore has marked a significant shift, not just in the name change but in the character of the shop itself. Andrea remembers her first day. “I literally opened the doors and waited for people to come,” she says. 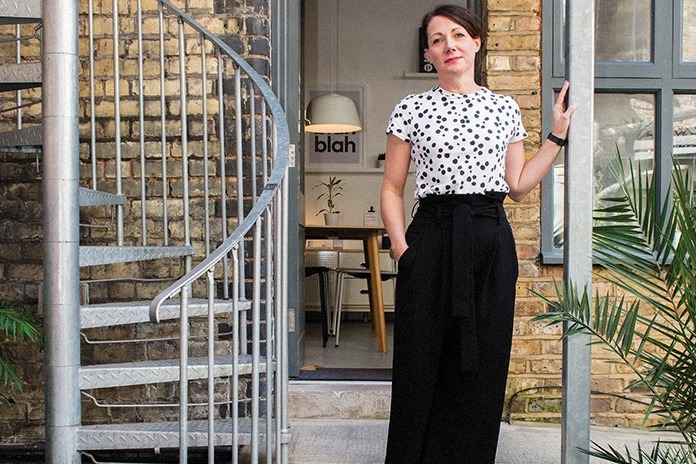 The shop was born from her realisation that there was nowhere even to buy a card in Tufnell Park in 2012, so with a background in retail (having worked for Heals and Paperchase) she conceived of her own shop, which would sell design-led decorative accessories, homewares and stationery as well as quirky things that she’d find at car boot sales and liked. The name, Future and Found, reflected the mix of old and new. A move to a larger site nearby opened the shop up to further possibilities and the new incarnation has rebranded. It’s less “found” and more “future” – and as a stockist of brands like Hay, Muuto and lots of independent designers, many of them Scandinavian, this is a design store with a pared-back aesthetic as well as a love of detail and character. Among the greys and neutral shades there are flashes of fluoro, and best-selling pieces include a French ceramic collection discovered by Andrea on Instagram. The new and expanded space behind the shopfront includes a courtyard and an old factory building that’s designed as a flexible showroom, currently arranged as a show apartment and a space for interior design consultations, events and workshops. Andrea is in the process of developing her own brand designs, starting with a range of bed linen – and her focus remains on seeking out high-quality, design-led pieces for a discerning yet budget-conscious local customer base. It seems to be working: people come from all over London to what has become a destination in itself.